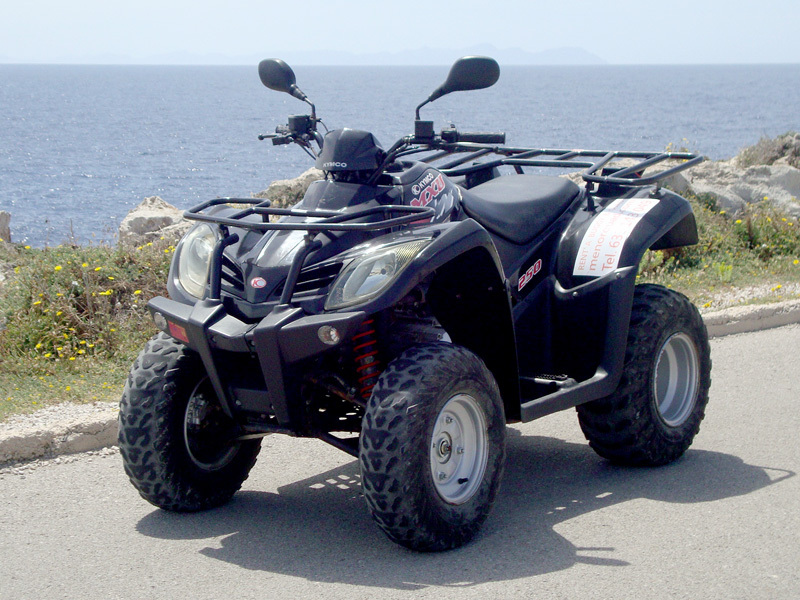 Quads are the ideal vehicle to move around in Menorca. You can reach all the coves and beaches of this beautiful island. They are homologated for two people and they are automatic, easy to drive, and especially fun. In addition, you can always find parking on the beaches, even if the parking is complete. The rent includes the insurance of circulation, use of two helmets, unlimited mileage, road assistance 24 h., and a map with the best routes of Menorca. Our quads are 250 cc., reach a maximum speed approx. of 85 km / h (maximum speed on the roads of Menorca is 90 km / h), and with enough power to carry two people without problems. This way, you will be able to move with full freedom throughout all the authorized roads and paths of Menorca, always counting on our advice and experience to trace you a route adapted to your desires. Live and enjoy Menorca as you have always dreamed of!